Room 25 have had a busy week making fairy bread and having even more fun eating the fairy bread. 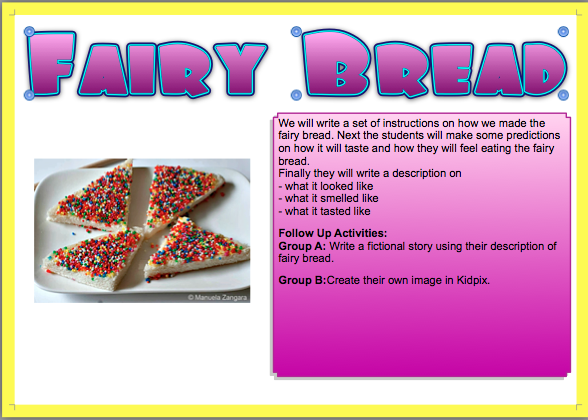 Some of the students have spent all week writing a story around their fairy bread and they are awesome. Log on to their individual blogs to check their stories out.